Comments: Clusters of tiny cup-shaped, white flowers in spring followed by black fruit in summer. 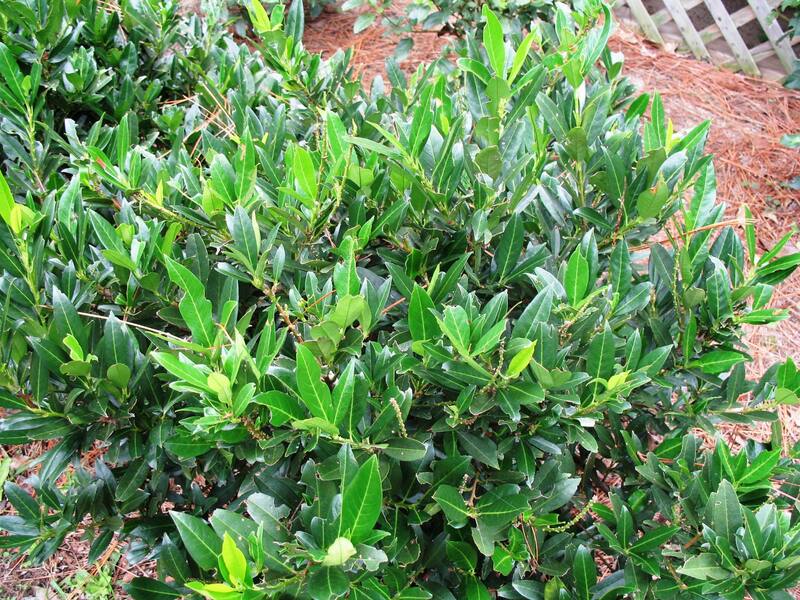 Is a large, spreading evergreen shrub with large, glossy, dark green leaves and a hardy constitution. Used in foundation plantings, in borders or screens.